This shade has characterful signs of wear and tear. 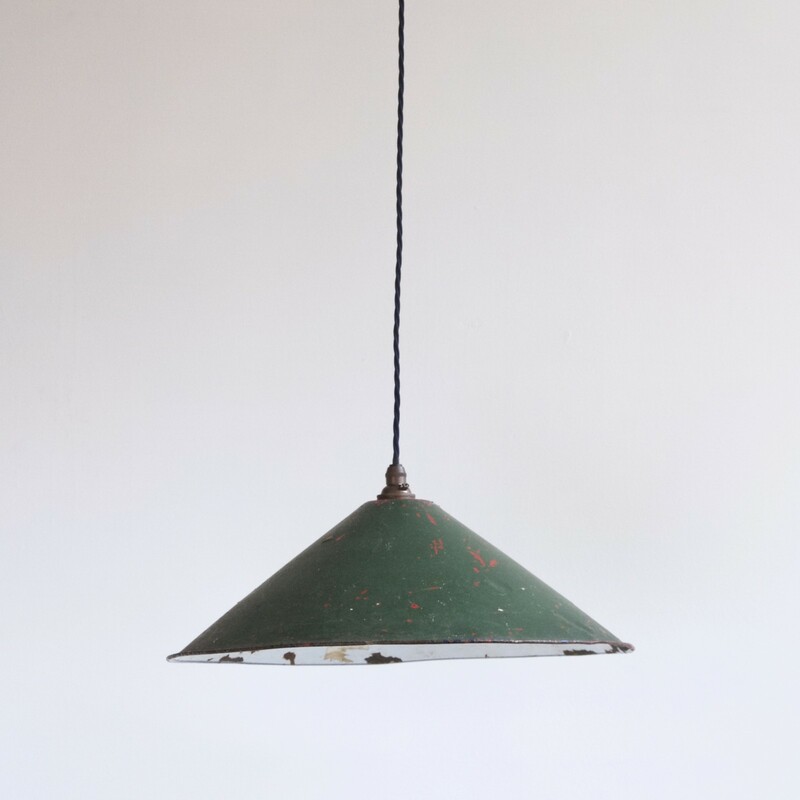 Striking red is exposed through the outer green paint, it has been wired with complementary antique brass finish fitting and a navy braiding. We have multiples available all with slight variation in colour, please enquire for more information.